The end is finally here for Saban’s original Power Rangers franchise. What started out in 1993 lasted a grand total of six seasons. Rangers came and Rangers went as did powers and incarnations. Now in the long-awaited finale to the franchise that started it all, every one of the Rangers from the franchise’s first five seasons join the current team as they face off against every villain that the Rangers have faced up to this point in a battle for not just Earth but also the Universe. This collection of episodes effectively ends the original Power Rangers franchise before it got re-booted in early 1999 in the form of Power Rangers Lost Galaxy. 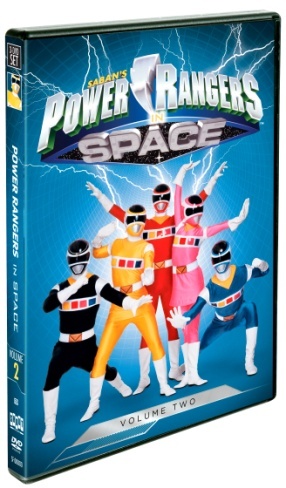 Power Rangers In Space: Volume Two is one of the absolute best groupings of episodes from the original series. The primary reason for that is of course the writing. While the final two episodes are the key focus of the collection, there was also the multi-episode story arc involving the Psycho Rangers. Audiences also see something of a personal growth from Andros (Christopher Kayman Lee) in some episodes. One in particular sees him take on a father-like presence when he saves the “servant” of an evil alien. The stock footage and special effects that made the series so wonderfully campy continued on through this season, too. That is another factor in this set that audiences will appreciate in viewing these episodes. Rounding out the whole thing is the presentation of the episodes. The episodes presented in this collection are much like those of the previous collections. They are presented exactly as they were in their original broadcasts on Fox’s FOX Kids afternoon programming block. Nothing was edited out. And the footage looks just as it did in the episodes’ original broadcasts, too. That factor rounds out the presentation in whole that is Power Rangers in Space: Volume Two. Together with the writing and the character development displayed throughout the episodes, it makes clearly visible why Power Rangers in Space: Volume Two a fitting finale to one of the greatest children’s franchises in modern television history. Power Rangers in Space: Volume Two is a fitting finale to what is one of the greatest franchises in the modern history of television. The franchise lasted a grand total of six seasons before being rebooted in 1999 in the form of Power Rangers Lost Galaxy. What started as a cult hit in 1993 proved to be one of the biggest cultural phenomena by its end five years later. One of the key reasons for that was the franchise’s writing. That is evidenced clearly in the finale to Saban’s original franchise. Most audiences will agree that the franchise’s two-part finale, “Countdown to Destruction” is the central point of this collection. However, a closer look at the episodes shows that the buildup to that point is really what makes the collection work. The writers build up to that final epic battle by forcing the Rangers to use all of their resources to face the Psycho Rangers multiple times. They also face quite the test when their main resources are destroyed in their attempts to destroy Ecliptor and Tankenstein. Audiences that grew up with this franchise will love seeing again how the Rangers tackle the situation with teamwork and the help of all of the previous Rangers. The fact that the writers could interweave each story arc into one whole story without losing audiences along the way is a testament to their efforts. On a side note, those that have continued watching the various incarnations of the Power Rangers up to this point can’t help but see a rather close similarity between “Countdown to Destruction” and the upcoming mega-battle in the Power Rangers Super Megaforce universe. It would be no surprise if this is where that show’s writers got their motivation for the franchise’s next upcoming mega battle. Again that being a possibility it goes to show once more the strength of the writers’ work even all those years ago. It’s just one part of what makes this (final?) collection of episodes such a fitting finale for the original Power Rangers franchise. The writing behind the episodes culled for Power Rangers in Space: Volume Two is a solid starting point in an examination of what makes this collection so enjoyable. In direct relation, the growth of the characters—Andros specifically—helps move this collection forward. Audiences see him become increasingly welcoming to his fellow Rangers as the season progresses. This is especially noticeable in “Andros and the Stowaway” in which he saves an alien that looks a lot like an anglerfish with legs from its evil master. The care and concern given to the creature exhibits quite the emotional growth for him. To an extent, one could almost argue that the creature—dubbed Seymour by the Yellow Ranger—is somewhat representative of his sister, who obviously turns out to actually be Astronema. He cares for Seymour the way that he had never been able to look after his sister. It’s subtle, but it’s there. There is also the budding relationship between Ashley (The Yellow Ranger) and Andros in terms of character development. The writers can be applauded here as they didn’t let that take too much of the time in any episode. Whereas Tommy’s relationship first with Kimberly and then with Kat later in the original franchise, this relationship was kept more as an undertone of sorts. It was another way for the writers to exhibit Andros’ personal growth from the standard lone wolf figure to the warmer, more…..human character. One could argue even that it was one more way for Andros to heal from what happened and to give him a purpose to fight on and find his sister, whom he doesn’t realize, is actually Astronema, until these episodes. Looking back on the balance of character development and the overall writing, audiences that grew up with these episodes will appreciate them even more when watching these episodes again. The end result will be a heightened sense of nostalgia and in turn overall enjoyment. The balance of character development and overall writing in these final episodes of Saban’s original Power Rangers franchise is of the utmost importance. Those behind the show expertly balanced the two to make them some of the most enjoyable to watch. The writers really show in their balance of the elements just how much this team of Rangers has grown together and how their battles against Astronema have shaped them both personally and by themselves. It collectively makes for quite the interesting watch. As important as these elements are to the overall enjoyment and success of Power Rangers in Space: Volume Two, there is one last element to examine. That last element is the presentation of the episodes. What audiences get in this set is one more collection of episodes presented exactly as they were presented in their original broadcast on Fox’s FOX Kids afternoon programming block back in 1998. There has been no re-mastering or anything of the sort. The stock footage from the Japanese series that inspired the Power Rangers’ various incarnations is here as are the campy but oh-so-fun special effects. As a matter of fact, those that have HDTVs will love seeing the wires/strings used to make Ecliptor fly in various episodes. And just as interesting is the appearance in Ecliptor’s final battle against the Rangers of a mysterious figure in the background of their battle. A close look reveals what looks like a female villain in the background as the Rangers face Ecliptor for the final time. But even when he is defeated, there is no mention of that figure. One can’t help but wonder if that was the editors’ attempt to mix the Japanese footage with that of the American series as there’s no mention of said figure at all. She is there, though. Regardless, the original editors behind these episodes did an applause-worthy job mixing the elements. And those responsible for transferring the original tapes to DVD are just as worthy of applause, too. Their collective work alongside the work of the writers to develop the characters and storylines makes Power Rangers in Space: Volume Two all the more enjoyable for today’s kids and those kids at heart that remember watching these episodes as kids themselves. ESPN’s E: 60 returns with a whole new season tonight. ESPN kicks off its Fall 2014 season of E: 60 tonight beginning at 8pm ET. Tonight’s season premiere presents two in-depth feature that come from the NFL. The first of the pair focuses on Kansas City Chiefs running back Jamaal Charles and the second on the Seattle Seahawks’ polarizing cornerback Richard Sherman. On the heels of the Ray Rice case, E: 60’s Jeffri Chadiha sits down with Jamaal Charles and discusses the murder of his wife’s cousin Kasandra Perkins. Perkins was murdered by her husband Jovan Belcher, who was also a teammate to Charles. Belcher turned the gun on himself after killing his wife in December of 2012. It is now believed that Belcher’s actions may have been the result of CTE or Chronic Traumatic Encephalopathy. Charles discusses the terrible tragedy as well as his own tough childhood, growing up as part of a large family and more in that interview. In the second of the night’s premiere features, Kenny Mayne talked with Richard Sherman. The outspoken Seattle Seahawks cornerback has made headlines since the buildup to last season’s Super Bowl. But as Kenny Mayne reveals, there is a whole other side to Sherman that few if any know of. Mayne reveals in his talk with Sherman that he [Sherman] demands success of himself not just on the gridiron but off the field, too. Sherman reveals in his interview with Mayne that much of his drive for excellence goes back to his younger days growing up in Compton, California. He also discusses how his days playing at Stanford played a role in his development, too. It is an intimate portrait of a man much deeper than the one most people know of. Along with the interviews with Sherman and Charles, there is also a feature on “Morganna, The Kissing Bandit.” The famed figure rose to fame in the 1970s and 80s, well before the rise of Youtube and viral videos as she would run out onto the field at MLB games, kissing players. She disappeared suddenly in the 90s. Now fifteen years after she disappeared, “Morganna, The Kissing Bandit” has re-emerged. She sat down with E: 60’s Wright Thompson to discuss her reputation and how it was a troubled personal life that led her to become the famed figure. The figures scheduled to appear on tonight’s season premiere of ESPN’s E: 60 are but a handful of the names set to come on the network’s hit show this season. Also expected to appear this season are: Detroit Tigers pitcher Max Scherzer, NFL superstar Gerald McCoy, famed pitcher Randy Johnson, Dallas Cowboys’ tight end Jason Witten, and New Orleans Saints defensive coordinator Rob Ryan. The complete schedule for this season is noted below. Inspector Lewis is back. That’s right. Everyone thought that the end of the road had come in the sixth season of the hit itv crime drama when Inspector Lewis called it a career. Low and behold, he’s back. And it wasn’t his own choice to return as audiences learn in the season premiere. 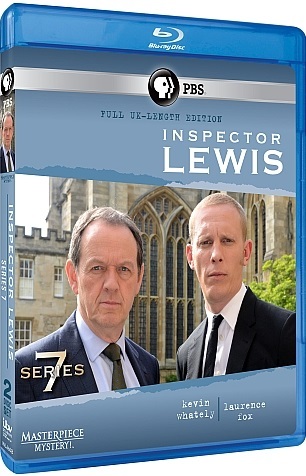 This fall, fans of the hit crime drama series will find out the circumstances of Inspector Lewis’ return when the series’ seventh season is released in whole. The episode listing for Masterpiece Mystery: Inspector Lewis 7 is included below complete with episode summaries. Hathaway gets to work on his first case as an Inspector, with the help of his new partner, DS Lizzie Maddox. The crime is a complicated one that bridges the worlds of neurosurgery, blood sports and animal rights. Lewis, struggling to adapt to retired life, jumps at the chance to rejoin the force when Superintendent Innocent seeks his help. With Lewis back on the team, will they be able to solve the mystery? After a difficult start, Lewis and Hathaway seem to have settled back into their former relationship, and Maddox has become integral to the team. Their abilities are tested as they investigate the brutal murder of Rose, an American Classics student. Suspicion immediately falls on a young professor who had recently broken off an affair with her, but as the detectives delve further into the case, they only find more secrets and murky motives. Thirteen years after Lewis’ first successful arrest as a Detective Inspector, the forensics have been called into question and the case re-opened for appeal. Lewis fears the worst – but nothing can prepare him for a new string of murders resembling the original murders with the original weapon. Did he arrest an innocent man? With Lewis’ reputation in jeopardy, Hathaway and Maddox race to catch the killer. Timeless Media will release another piece of television history next month when it releases The Red Skelton Show: The Early Years 1951 – 1955. Timeless Media will release The Red Skelton Show: The Early Years 1951 – 1955 on Tuesday, October 21st on DVD. The box set contains ninety episodes spread across eleven discs. The release of this box set marks the first time that the episodes contained therein have been seen since their original broadcast some six decades ago. Among the eleven DVDs is one disc that includes a number of bonus features. Among those features is the documentary feature “America’s Clown: An Intimate Biography of Red Skelton,” behind the scenes rehearsal footage, and even a pair of bonus episodes. Along with all of the classic episodes and bonus features, The Red Skelton Show: The Early Years 1951 – 1955 also features guest appearances from a number of the biggest stars of the day. The list of those guest stars includes the like of: Jackie Gleason, Johnny Carson—who called Skelton “one of the great clowns of our time”—Diahann Carroll, John Wayne, Bob Hope, Peter Lorre and many others. Timeless Media will release a special collection of episodes of A Haunting next month. A Haunting: The Television Series will be released Tuesday, October 14th on DVD. The box set will contain all six current seasons of the series, which ran first on Discovery Channel and then on Discovery’s digital sister station Destination America. They will be spread across nine DVDs contained in one box. The seventh season of A Haunting premiered last month and ran its most recent episode “Devil Inside Me” on September 7th. Two more episodes are scheduled to air in early December. 2014 has not been a good year for movies. As a matter of fact, one could argue that this year has been one of the worst years for movies in recent years. Marvel and DC spent the summer trying hard to one-up the other on a bigger scale than ever before. And both of Michael Bay’s big screen blockbusters failed to reach audiences in the way that had been hoped. And the summer season wasn’t the only disappointing part of the year, either. 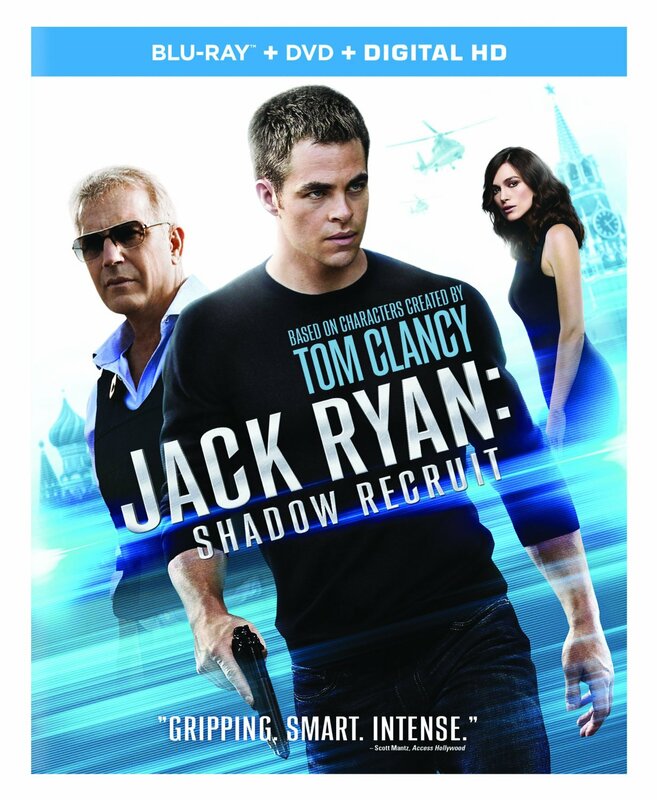 Paramount tried to make a hit with its latest installment in the Jack Ryan franchise in the form of Jack Ryan: Shadow Recruit. Sadly, even putting that movie at the start of the year didn’t help this largely disappointing, formulaic flick. Compared to the big name films that filled out (and flopped) the summer movie season this year, Jack Ryan: Shadow Recruit is not much better. The most obvious of reasons for its failure is the fact that it’s not just a continuation of the late author Tom Clancy’s Jack Ryan franchise, but that it is yet another complete re-working of that franchise. That is nothing new from the Jack Ryan franchise. Another reason that this movie fails is its writing. Rather than paying homage to the stylistic approach of previous Jack Ryan films, this one is more of a formulaic action flick than one with the substance of say The Hunt for Red October, Patriot Games or Clear and Present Danger. The one positive to the whole thing is believe it or not the acting on the part of veteran actor Kevin Costner. That’s the biggest surprise of all considering how overrated he and the movies in which he has starred throughout his career have proven to be over the years. It’s the one shining light in a movie that does absolutely nothing to honor the legacy of Tom Clancy’s one great franchise. Had this movie been any other movie and not part of the Jack Ryan franchise, it might have worked. But sadly that wasn’t the case. And as a result, it will ultimately end up becoming a largely forgettable film. When Paramount Studios decided to back Jack Ryan: Shadow Recruit, the studio’s heads had to have known that this movie was a major gamble. The last time that audiences heard from Jack Ryan was in 2002’s largely forgettable film The Sum Of All Fears. That movie failed for many of the same reasons that this latest installment in the Jack Ryan franchise failed, too. The primary reason for that failure is the fact that it is obviously set on a completely different timeline than the franchise’s previous installments—The Hunt For Red October, Patriot Games, and Clear and Present Danger. Those that remember that far back will recall that according to the original canon, Ryan was injured in a helicopter accident in Vietnam or Korea. This movie sees Jack being injured after his chopper was shot down in Afghanistan. And the movie itself is set not long after the events of September 11th, 2001. So right from the beginning, audiences are introduced to a story that is set on yet another completely different time line. At least the transition between the original Jack Ryan movies (The Sum of All Fears not included) was believable. This isn’t the first time that lead actor Chris Pine has starred in a reboot, either, sadly enough, either. Anyone remember the recently rebooted Star Trek franchise? The fact that Paramount has not only rebooted the Jack Ryan franchise, but put it on a completely different timeline is bad enough. But that’s only the beginning of the problems for this movie. Things get even worse when taking into consideration the movie’s script. This movie’s script hardly echoes the quality scripts presented in the original movies in the Jack Ryan franchise. It is a formulaic action flick rife with car chases, explosions, the standard hero and villain roles, and equally standard chase to save the damsel in distress. The damsel in question is Ryan’s love interest Dr. Cathy Muller, played well enough by Keira Knightley (Pirates of the Caribbean 1 – 3). It’s all set against a story that is anything but original. As a matter of fact, it lifts liberally from some all too familiar events from the early 1990s. The original Jack Ryan movies didn’t need to rely on actual events to be enjoyable. The people behind their scripts crafted stories that were both original and enjoyable all in one. This movie sadly doesn’t do that. The result is yet again a story that will in the long run be anything but memorable. For all of the negatives that weigh down Jack Ryan: Shadow Recruit, there is at least one positive to the whole thing, albeit a small positive. But good is good, right? The one positive to the entire presentation is the work of veteran actor Kevin Costner. Those that are familiar with Seth McFarlane’s hit animated Fox sitcom Family Guy will recall the joke asking “How does he keep getting work?” The joke is fully substantiated considering Costner’s own acting and the movies in which he has starred throughout his career. In this critic’s own view, the only good movie in which Kevin Costner has ever starred was Field of Dreams (1989). His acting was good. And the story was just as good. Other than that, he hasn’t really landed a memorable role or starred in a memorable movie. In the case of this movie, Kostner takes a back seat to the much younger Pine. He doesn’t try to hog the screen as some sort of mentor or anything to that extent. He is just someone older with more experience. He passes on some knowledge to Pine’s younger Ryan at one point. Other than that, he is largely a supporting character. And he does quite well in that role, too. He is actually believable in that role, interestingly enough. That being said, his acting is about the only thing to which audiences have to be excited in this movie. Other than that, it is mostly a forgettable movie. When Paramount Studios decided last year to release Jack Ryan: Shadow Recruit at the back end of the annual winter movie season, the studio’s hopes were obviously that it would bring in better numbers, not being jumbled in with the far too overcrowded summer blockbuster season. Sadly, even now in its home release, audiences will see that no matter when the movie was released, it was doomed to failure. It could be argued that in examining the movie’s script, it is little more than a fictionalized and modernized story “based on actual events.” That’s especially the case for those that remember certain events from the early 1990s. The fact that the movie places Jack Ryan in a wholly different timeline once again takes away from its enjoyment even more. Even the star power of veteran actor Kevin Costner couldn’t help the movie even though he actually succeeded in his supporting role. Keira Knightley does very little to help the story, either. Her character Dr. Cathy Muller comes across as little more than the helpless love interest to Pine’s Jack. All things considered, Jack Ryan: Shadow Recruit proves to be one more in a long line of prequels, sequels, and reboots churned out this year that will ultimately end up being forgotten amid that mass of other equally forgettable films. Here’s to hoping that should audiences ever see any new adventures of Jack Ryan, Paramount and company will get it right next time. This Monday night on ESPN, Alex Smith and the struggling Kansas City Chiefs host Tom Brady and the New England Patriots in a battle of East versus West in the AFC. Monday night’s edition of Monday Night Football on ESPN will be an important one for the Chiefs who are currently winless at home. The Pats on the other hand, are even at 1 – 1 on the road. Pats tight end Rob Gronkowski said this week that he is looking forward to taking on a more active role with the Pats. So fans can potentially expect to see him in a much more active role Monday night when New England comes to Arrowhead Stadium. And that means the possibility of an even more tough fight for the Chiefs Monday night. Looking at things on an even deeper level, the Chiefs and Pats are almost even in terms of total points scored so far this season and total yardage, too. And Tom Brady has the second-highest winning percentage on Monday Night Football, with a record of 13 – 5. That is second only to Payton Manning, whose MNF record sits at 13 – 4. The Patriots have scored more points than the Chiefs so far this season. But the Chiefs have outperformed the Patriots in terms of Passing Yards, Rushing Yards, and total yardage overall. But that lead is minimal at best. Taking all of this into consideration, Monday night’s edition of Monday Night Footabll on ESPN could prove to be a close one for both teams in this battle of the AFC East and AFC West. Mike Tirico will have the call for Monday night’s game. He will be joined by Jon Gruden in the booth and Lisa Salters on the sidelines for additional commentary. Before kickoff of Monday night’s game, the Monday Night Countdown crew will recap all of the action from Sunday’s games. Suzy Kolber will host the broadcast, which will come live from Arrowhead Stadium. She will be joined by NFL analysts Trent Dilfer, Ray Lewis, and Steve Young. Chris Berman will join the broadcast live from ESPN’s headquarters alongside ESPN NFL analysts Cris Carter, Mike Ditka, Tom Jackson, and Keyshawn Johnson and ESPN NFL Insiders Chris Mortensen and Adam Schefter. It all starts at 6pm ET. Kickoff is scheduled for 8:15pm ET. The topics slated for Monday night’s edition of Monday Night Countdown are listed below. Gruden’s Grill Session with Alex Smith: Super Bowl-winning coach and MNFanalyst Jon Gruden visits with Chiefs quarterback Alex Smith. Rick Reilly – Drew Bledsoe: If not for an injury to then-Patriots starting quarterback Drew Bledsoe in 2001, the Tom Brady era in New England may never have happened. In his weekly feature, Countdown’sRick Reilly looks at where Bledsoe is now, 13 years after losing his starting job to Brady and eight years since retiring from the NFL. Soundtracks – Best of Brady and Gronk: As the Patriots look to get their offense turned around, Countdownlooks back at the best of in-game audio between quarterback Tom Brady and tight end Rob Gronkowski in Soundtracks. Monday Night Football is available to all Spanish-speaking audiences on ESPN Deportes. And anyone that can’t be near a television Monday night can still catch the game online via WatchESPN.